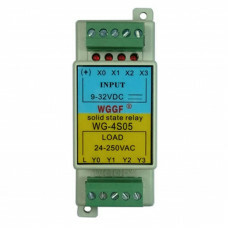 manual Solid state relay [English version Download] ..
0BA12 PROFIBUS bus connector for 90 degrees without programming port, DP plug,6ES7 972-0BA12-0..
0BA41 PROFIBUS bus connector for 6ES7972-0BA41-0XA0,DP bus plug ..
0BA52 DP PROFIBUS bus connector for 6ES7 972-0BA52-0XA0,DP plug / connector ..
0BB12 PROFIBUS bus connector for 6ES7972-0BB12-0XA0,90 degrees with programming port, DP plug ..
OBB41 Profibus bus connector for 972-0BB41-0XA0 ,DP bus plug ..
0BB52 PROFIBUS bus connector for 6ES7 972-0BB52-0XA0,DP plug ..
0BB52 PROFIBUS bus connector for Siemens 6ES7972-0BB52-0XA0,Bus DP head ..
0EA02 Profibus bus connector for 6GK1500-0EA02 ,DP bus plug .. 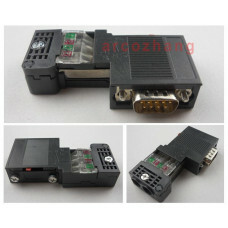 Product Description: 1, the module uses Songle relay control, maximum AC voltage 250V, AC.. Specifications: A. dimensions:56.5mm*20mm*16.8mm B. the main components: TLP521-1, HK3FF-DC5V-SH.. Product Description: 1, the module uses Songle relay control, maximum AC voltage 250V, AC c.. Solar panel connector : fully Compatible with multi..
100% Brand new and high quality Please note before buying : Picture just as a reference..